Satisfy your after-dark sugar cravings at this bakery-bar hybrid. Always craving an espresso martini with your cheesecake? That's exactly how Sarah Ryan and Damien Shaw feel, so they decided to take one for the team and open a boozy bakery. Bad Love Club follows a pretty simple concept — coffee, bagels and jaffles by day, booze and sweet treats by night. What it lacks in complexity, Bad Love Club makes up for in sentimental value. 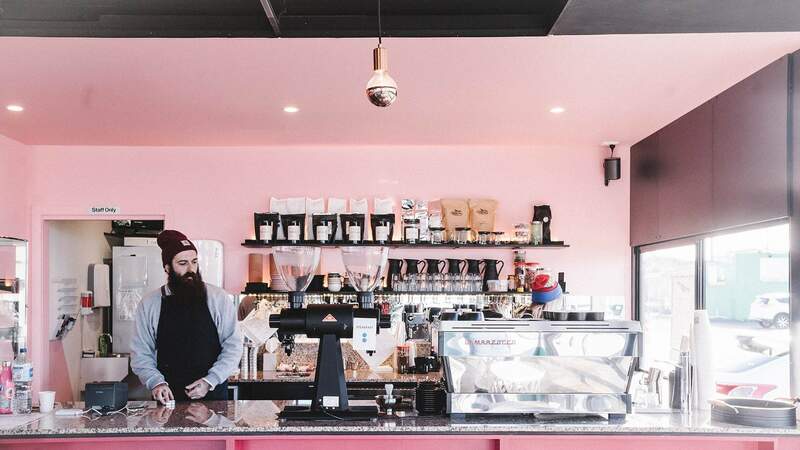 Take the name, which is inspired by an Eric Clapton song that Ryan and Shaw first bonded over, or the location – Shaw grew up in Footscray and, while Ryan hails from Brisbane, she now shares his passion for the eclectic suburb. Shaw caters to the AM traffic with Sensory Lab coffee, 5 & Dime bagels and experimental jaffles, while Ryan shines after dark, serving sweets and cocktails when the sun goes down. Ryan's dream to become a baker didn't mesh well with her lifestyle — she's not a morning person. Her solution? Bake during the day and serve at night. For the dessert line-up, Ryan draws on an assortment of recipes collected from family and friends over the years. A decadent pecan pie is a family recipe from the States, while a vodka fairy bread cheesecake is an experimental creation. Each dessert is well suited to a cocktail from the ever-changing selection. The list currently includes a salted caramel espresso martini along with Ryan's favourite drink, the bacon bourbon old fashioned, a creation of bar manager Braedy Isbester. Those who can't wait until after dark can satisfy their sweet tooth with an apple pie jaffle or the S'more jaffle, oozing with homemade marshmallow and salted caramel ganache. Bad Love Club is now open at Shop 5, 68-82 Hopkins Street, Footscray. Open Tuesday through Sunday from 6am to 1pm and Wednesday through Sunday from 5pm until late.